Ka’ana Resort was created for those who appreciate the elegant luxuries of a world class resort, yet yearn to experience new frontiers. Perfectly located in the midst of everything a Central American vacation could possibly offer, Kaana is a haven of understated luxury with a considered design style, distinguished culinary experiences and an extensive wine cellar, adjacent to pristine jungle. Experience a true luxury vacation, just steps from the many ancient Mayan ruins of Belize’s jungle. La Cieba Restaurant- Featuring local and international cuisine, our full-service dining room pays tribute to seasonal ingredients from Ka’ana’s on-site organic garden. Book now and receive 20% off your room for stays February 1 – April 20, 2019 and November 1 – December 17, 2019. Full, non-refundable charge at time of booking. Based on double occupancy. Blackout dates and restrictions apply. 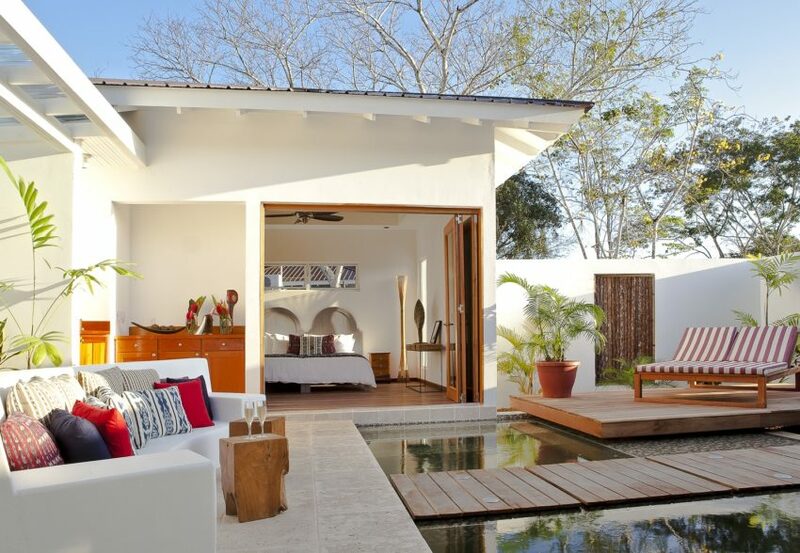 Balam Suites are nestled in a hacienda style home on the grounds of Ka’ana Boutique Resort. These five graciously appointed luxury accommodations all offer private entrances with lovely outdoor sitting areas overlooking the pool or tropical gardens. These intimate rooms feature clean lines and high ceilings with luxurious amenities and queen beds. 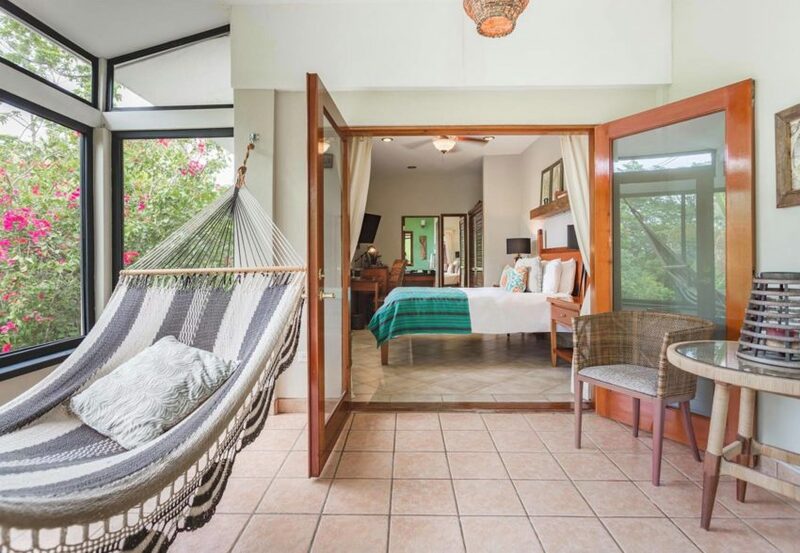 These private luxurious accommodations, referred to in Spanish as “Casitas” or small homes, are positioned off a lovely pathway lined with fragrant tropical fruit trees and lush landscaping. 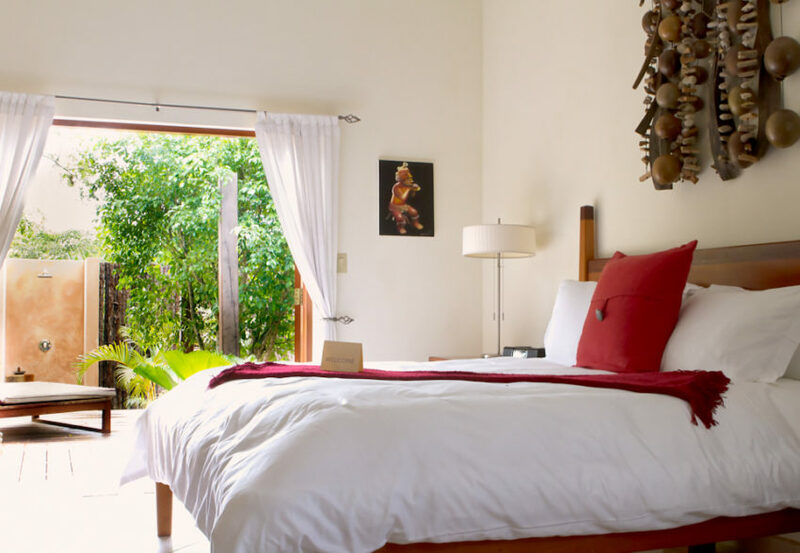 We’ve ensured that the Casitas at Ka’ana are the most comfortable and most “current” rooms in Western Belize. You will enjoy the jungles and archaeological intrigue of the Cayo area by day and be immersed in the comfort you have become accustomed to and deserve by night. 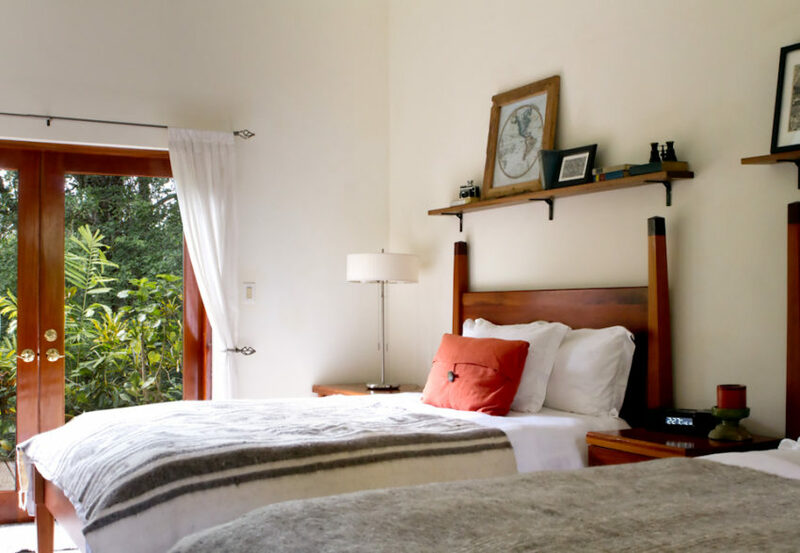 he walls of your Casita are adorned with local art, and your french doors and windows allow the indoors to embrace the outdoors in a seamless way. The Master Suites at Ka’ana offer 700sq ft of private space with individual front and back decks, including an enclosed garden and private outdoor shower. You will enjoy the jungles and archaelogical intrigue of the Cayo area by day and be immersed in the comfort you have become accustomed to and deserve by night. The walls of your Casita are adorned with local art, and your french doors and windows allow the indoors to embrace the outdoors in a seamless way. Your bathroom vanity is done in a beautiful Central American hardwood called “Poison Heart” and is the masterpiece of a spacious, naturally lit space. Includes: Full Breakfast for 2. 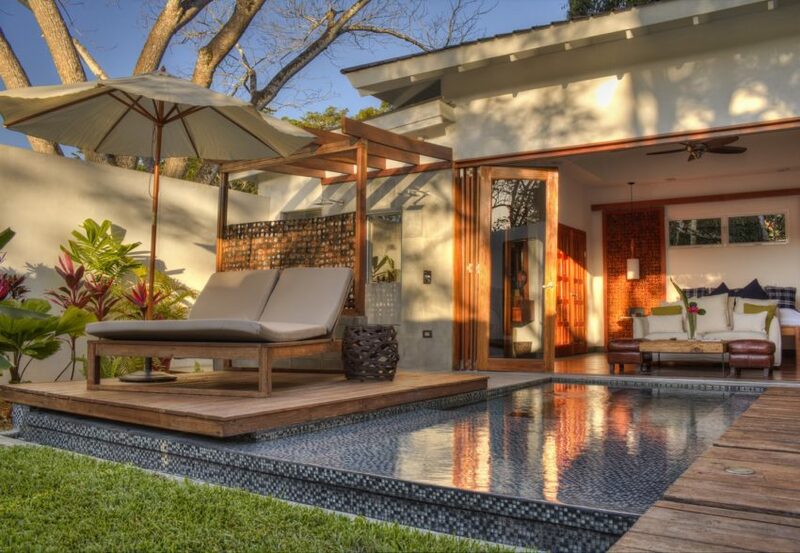 The 1-bedroom villa offers the ultimate in luxury accommodations in Belize. With a considered design style and 1250 sq ft of private space, this villa helps to redefine travel to inland Belize and provides unparalleled personal service and a very intimate travel experience. The 2-bedroom villa offers the ultimate in luxury accommodations in Belize. With a considered design style and 2500 sq ft of private space, this villa helps to redefine travel to inland Belize and provides unparalleled personal service and a very intimate travel experience.